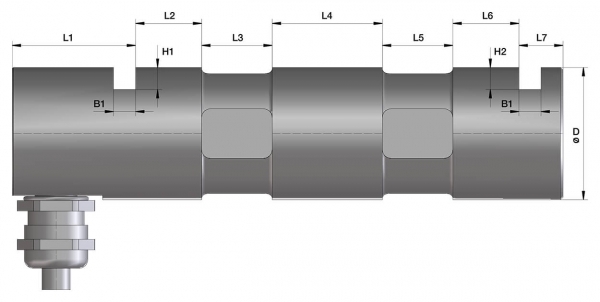 The L20s are customer-specific, custom-made load pins. This means that existing load pins can be replaced without technical modification. They are used for measuring static and dynamic tensile forces and compressive loads. Depending on the application, different diameters and lengths are designed and produced. The loadpins can optionally be made from alloyed steel or stainless steel and are characterised by high accuracy and linearity. The force is measured by means of a strain gauge which is applied to the bolt, which provides a measuring signal proportional to the force. 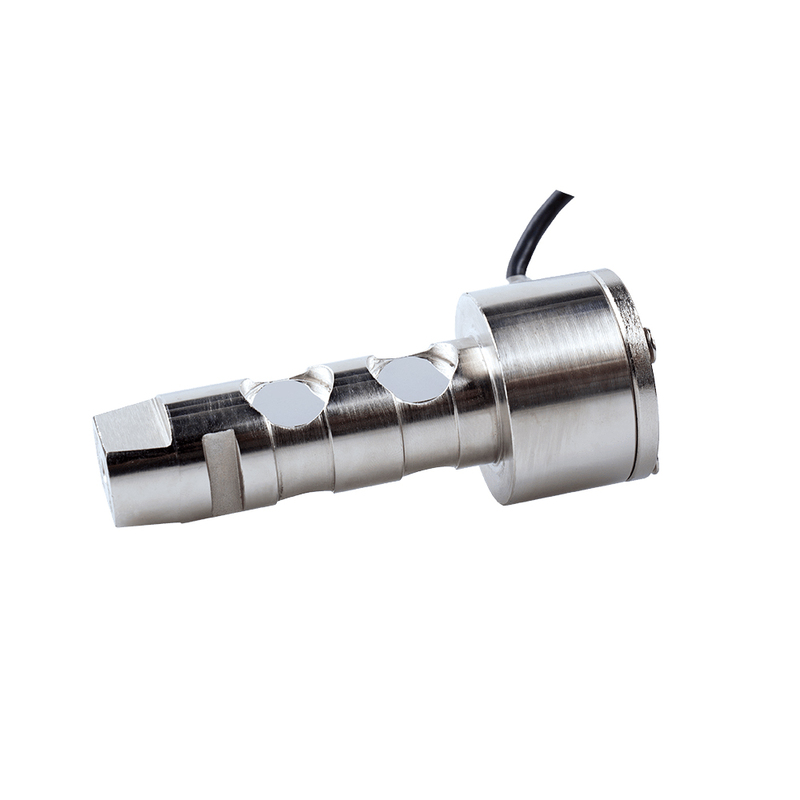 The measuring element of the measuring pin can be laser-welded (IP 66) or encapsulated (IP 65). Calibrated in Newtons, they can also be used to measure the force as a loadpin / load measuring axis. The measuring pins provide very precise and reproducible results even in long-term use in harsh industrial environments. Load monitoring systems for cranes, winches and hoists, overload safety devices, load lifting devices, load bearing systems, cable winches, deflection pulleys, chain conveyor belts in the automotive industry, roller force measurement in rolling mills, calenders, coaters, presses. During mounting, an existing pin can be replaced by a loadpin. Care must be taken to ensure that the guiding of the loadpin is almost free of play. It is important that all forces to be measured are applied vertically into the loadpins. Related links to "Loadpins L-series"
Our comment on "Loadpins L-series"